Times: 5:30 p.m. to 10:00 p.m.
Open Top Carriages are $10 per person. Kids 5 years and under are free. Private Carriages are a flat rate of $50. They can fit up to 4 adults. No reservations—carriage rides are on a "first come-first serve basis"
Admission is FREE. 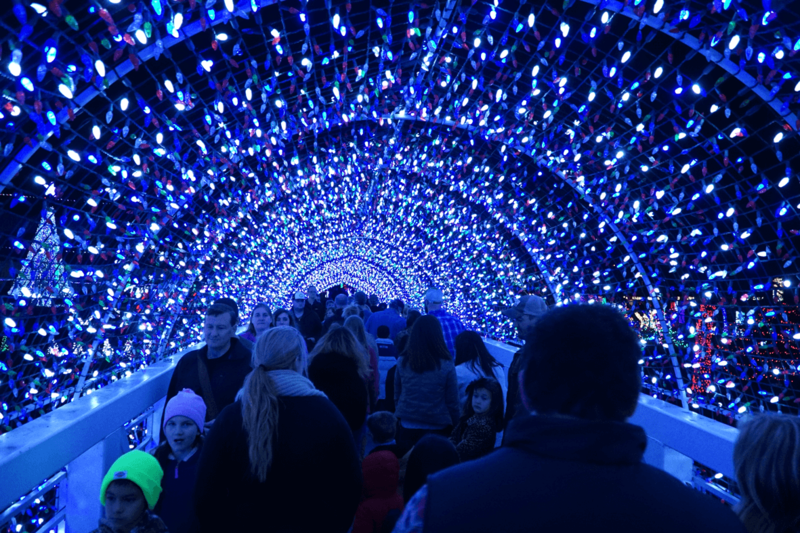 Donations are accepted.Rhema Christmas Lights Extravaganza is a brilliant display of twinkling lights that began with about 60,000 lights in 1982. Today more than two million lights adorn the campus from Thanksgiving Eve (Wednesday, November 27, 2018 at 6 PM) through New Year’s Day. 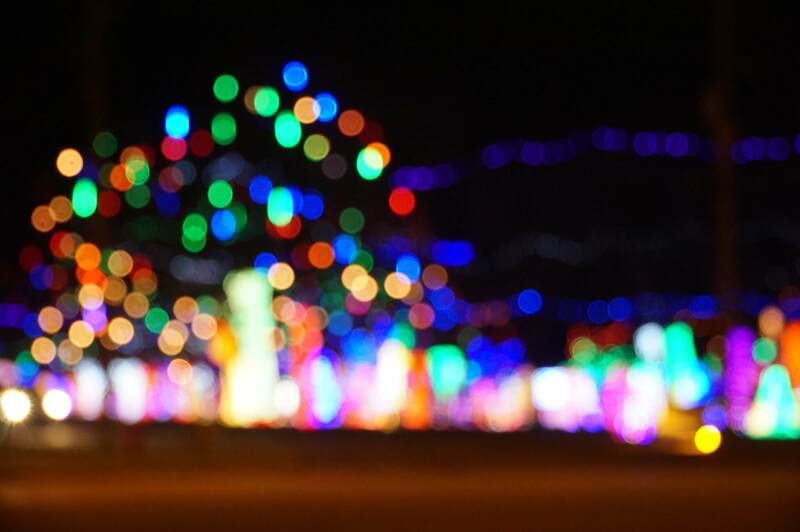 The glittering lights will shine every day from 5:30 to 11:30 p.m. The display typically draws more than 200,000 visitors from Oklahoma and surrounding states. Admission is free. to be seen and visited. I've been coming every year since I was little. Christmas family tradition from now on! Thank you for all the hard work you put into the display!" "This was my first time at the Rhema lights. I was overwhelmed! It is by far the largest and best Christmas light display I've seen." "We came to see it twice. Once to drive thru and once to walk thru. So amazingly gorgeous!!! Never disappointed. Worth the drive from Muskogee!" "Best Christmas light display I have ever seen. My family and I drive 160 miles one way every year to see them. What days and times are the lights on? 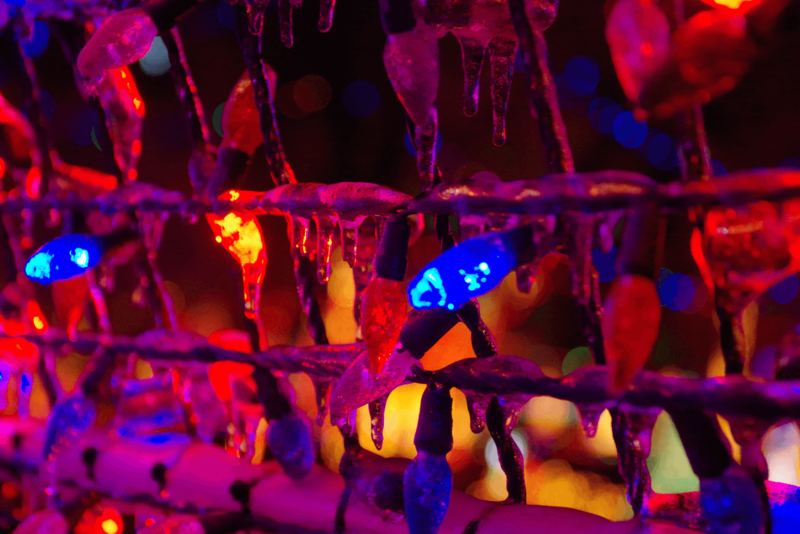 November 27 at 6PM — Lights on! The Rhema campus is located on 71st (Kenosha) between 145th (Aspen) and 161st (Elm) in Broken Arrow, Oklahoma. Our address is 1025 W Kenosha St, Broken Arrow, OK 74012. 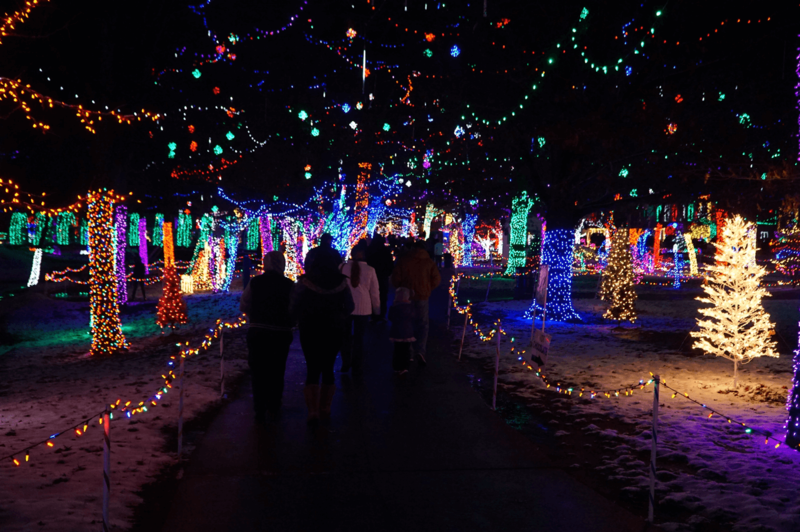 Admission is FREE to Rhema’s Christmas Lights Extravaganza. Online at rhemabiblechurch.com/give or text their gift. Text their gift: text “SHINE [space] [AMOUNT]” to 28950 and follow the prompts. Donation boxes are located in the Rhema Park. For the safety of everyone, no pets are allowed, except those that are service animals. When will Santa Claus be present? At this time, Santa is not scheduled this year. Please check back in near future for any changes. Do I have to drive or walk through to enjoy the lights? 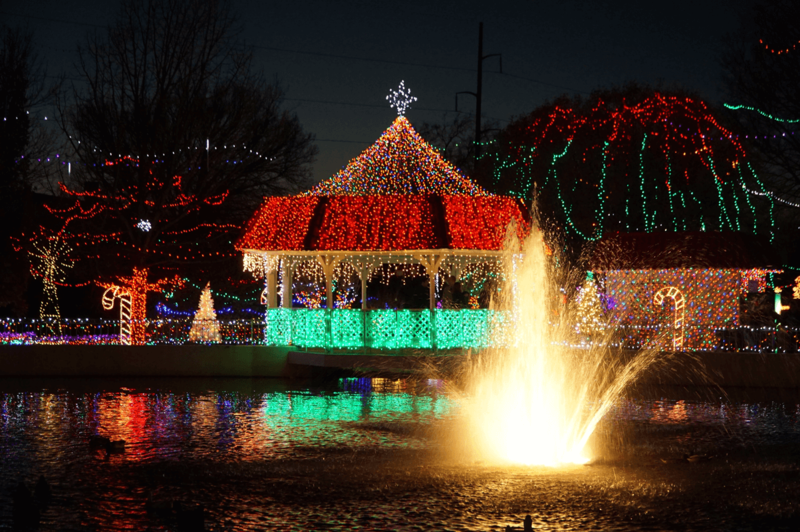 There are several ways to see the Rhema Christmas lights. You can drive through the campus, walk around the campus and Rhema Park, or take a horse-drawn carriage. Are there any concessions being sold? There are several items including hot chocolate, kettle corn, funnel cakes, and lighted toys sold in the park. Will there be carriage rides available? Will the lights be on if there is bad weather? Rain, snow, ice or sunny the lights will be on. Check back for scheduled times of Live Music performances in the near future. They are also announced on our Facebook page. SHINE space [AMOUNT] to 28950 and follow the prompts. Look for one of our awesome volunteers located in front of the bridge in the Rhema Park.